In case you live in a bubble and/or somewhere warm like Hawaii or Florida or California (and, in which case, of whom I am green with envy), it is snowing. Yes, those tiny white flakes are falling from the sky and landing in a puffy blanket of similar friends who are all congregating in a slushy mass in an effort to A) make people drive like idiots or B) make people drive like geriatrics (also potentially idiots). I, however, drive perfectly, but that’s another story. I don’t hate the snow, especially in the season of glad tidings and making merry. It provides a picturesque landscape, a glittering backdrop for a tree twinkling with lights, silvery tinsel and spherical gems doming over bows and wrapping paper. With such a jolly spirit, it’s hard to do anything not festive at this time of year. 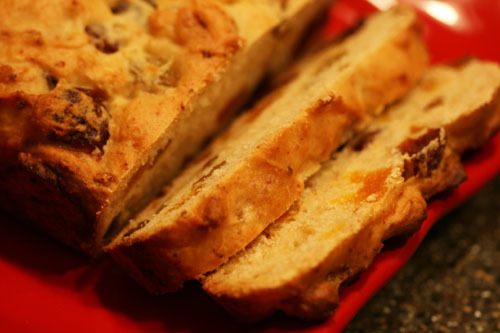 I chose this recipe because my husband, Elliott, drools over panettone almost every Christmas. He painstakingly compares every store’s version of the loaf until he finds the “perfect” one — a sweet tower of bread studded with ornaments of candied, dried fruits. 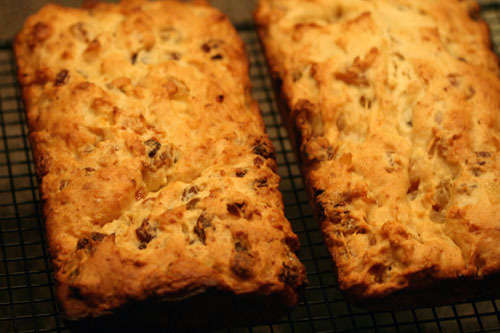 So when I happened upon a recipe for it in my Food Network Magazine, I thought I’d try to make a panettone that blew away all the other versions. The recipe, though seemingly simple, turned out to be a miniature holiday meltdown. First, it was the candied orange peel — I couldn’t find it anywhere. So I substituted dried pineapple for the MIA fruit. Then, while preparing the bread, I noticed a void in the cabinet which honey — honey that I needed for the recipe — usually fills. I also forgot to buy a lemon for the necessary lemon zest, so I had to stop midway through the recipe to buy the missing products. Of course, upon return, I realized I should have bought several lemons for the required 2 tablespoons of zest, and I almost pulled a muscle grating the single lemon until it was completely bare. I managed only to get about a teaspoon, so I used lemon juice for the remaining five teaspoons needed. Whew. Everything was back on track. 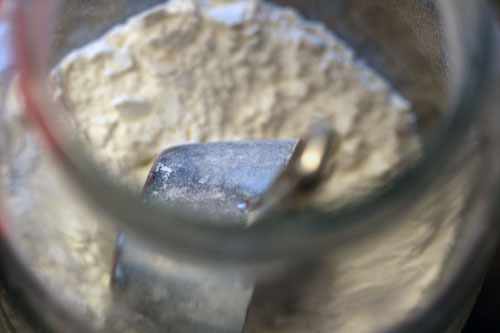 Until… until the mixture didn’t rise. It struggled, and puffed up just a hair, and was then defeated. After waiting two and half hours as opposed to the intended hour, I gave up and put the un-risen dough in the loaf pans, and crossed my fingers it would rise for the first time, the second time. It didn’t. After giving up again, I put the pans in the oven and baked them for 50 minutes, when they came out a little overdone. It was a disappointment. Though the process was less than a success, the taste of the bread is light, citrusy and delicious. And my husband approves. Debrief: I’m honestly not sure what went wrong with this recipe. It seems my active dry yeast, which is very fresh, just didn’t work. Perhaps it was due to all of the substitutions I made, but none of them logically contribute to the dough not rising. Hmph. 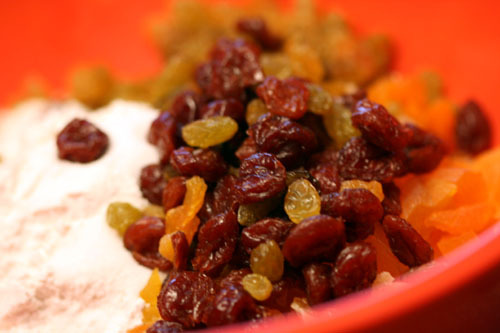 Mix together candied orange peel, dried cherries, golden raisins and dried apricots in a large bowl. 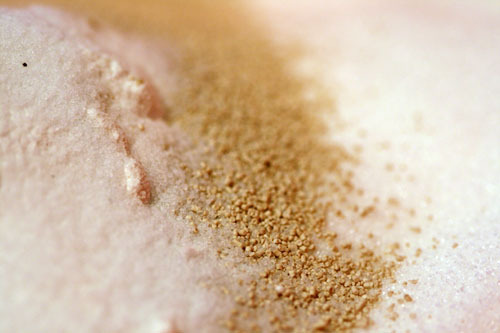 Add sugar, active dry yeast, flour and salt. 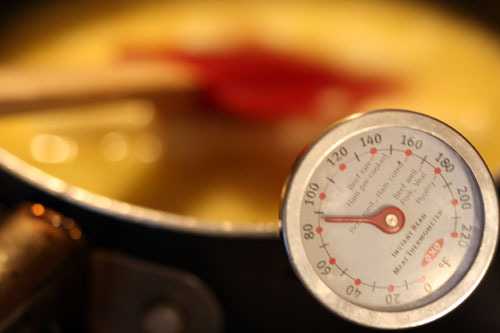 Heat whole milk, butter, honey and grated lemon zest to 120 degrees in a saucepan; stir into the mix. 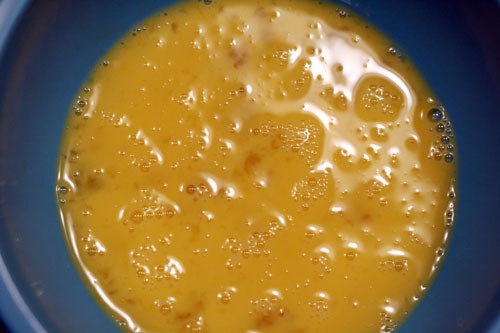 Mix in 2 lightly beaten eggs and vanilla extract; cover and let rise until doubled in size, about 1 hour. Butter two 5-by-9-inch loaf pans or two empty 10-ounce coffee cans and line with parchment paper. Add the dough; cover and let rise 1 hour. Bake at 350 degrees until a toothpick inserted in the middle comes out clean, about 55 minutes (or, in my case, about 45 minutes). Cool before slicing. 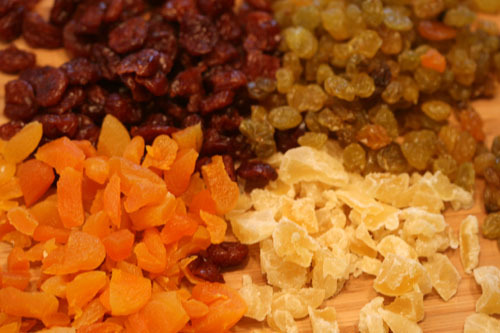 Extra punches (from Food Network Magazine): For a nut lover, add 1/4 cup toasted pine nuts in place of some of the dried fruit. Your blog is so cute. Tell Elliott his photos are excellent.It makes the blog so east to read and look at and keeps me scrolling down the page. Have a Merry First Christmas together.